Last night the GSPCA were invited to a special evening at the Lieutenant-Governors Goverment House. GSPCA Manager Steve Byrne attended what was the Saffery Champness Rotary Walk Ceremony and Awards Evening. It was a lovely night with the many sponsors of the round island walk that takes place in June, volunteers, walkers and special invited guests. Last year the GSPCA were lucky enough to be a recipient of the 2013 walk which helped purchase a new Nissan van which is used as an ambulance around the clock helping rescue animals. 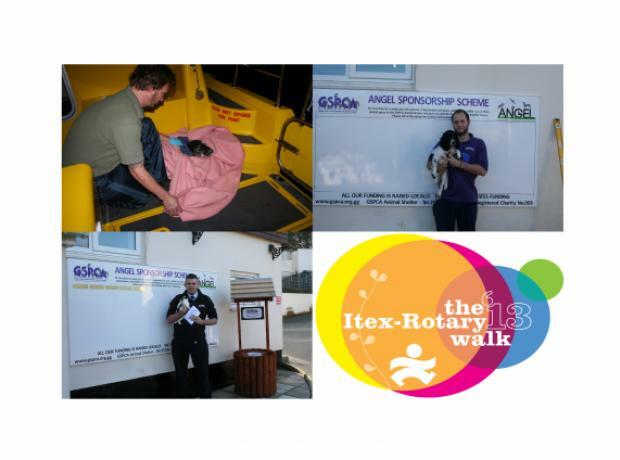 This year three of the GSPCA staff will be taking part in the Itex-Rotary Walk around Guernsey. GSPCA Manager Steve Byrne, Animal Collection Officer Geoff George and Animal Care Assistant Tony Gallie are braving the whole 38.5 miles to help raise funds for the annual event and the 2013 chosen charities. The walk has now become one of Guernsey's key fund raising events for local charities and attracts several hundred participants every year determined to complete the nearly forty mile route.